Learn more about the company that's championing a health and wellness revolution with quality sleep at it's core. I'm a blacksmith and a member of the American Bladesmith Society. I've been blacksmithing for about 12 years. When I started out, I learned by trial and error and by reading online community boards. A piece can take anywhere from a few hours to a few months to create, depending on the size of the blade or if there are any patterns involved. I'm passionate about blacksmithing because the process of creating is so intense. It's one of those things that when you do it, you know you're going to get burnt, you're going to get cut … but you enjoy every aspect because it's hard and it's another form of art. In a lot of ways, I see the work I'm doing in IT the same kind of way – a lot of it isn't easy. I'm constantly finding solutions based on the problems people bring me. I try to make IT less scary and more understandable by finding solutions that make things as easy as possible, or by refining previous solutions even more. We're all in this together and by working as a team, we can get a lot more accomplished this way. At Sleep Number, I am the ServiceNow Administrator." "I have been practicing meditation for almost 15 years, and I've made so many friends and connected communities in a meaningful way through meditation. When my wife and I moved to Minneapolis, we knew no one, so we started looking for ways to meet people. I was introduced to meditation when I lived in Kansas City, and since there wasn't an organized group in Minneapolis, we decided to form one. We wanted to do something worthwhile in our lives to help the communities around us find their inner peace. Not only has meditation helped me find the peace and calm I was looking for, it's also brought me fulfillment by sharing these techniques to help others find their own forms of peace and joy. To enable others to find that peace and joy, I now lead a Meditation Center in Columbia Heights as part of a Global Science of Spirituality organization. 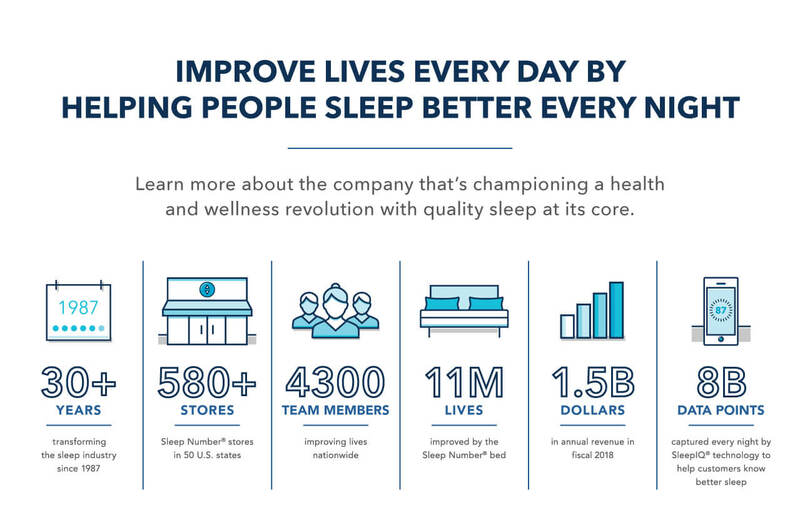 Sleep Number has a wonderful culture and our goals are very similar – we are all making meaningful contributions to people's lives. Sleep Number makes a difference by giving people better sleep, while meditation enables people to find their own peace and joy in their lives. When you find peace, it really connects with your true self and empowers you to do something meaningful in your life. I think that's what empowers us as individuals. 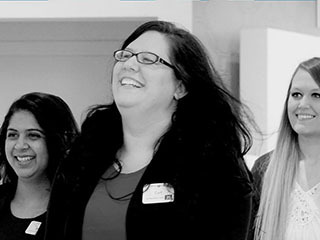 At Sleep Number, I am an Enterprise Application and Data Architect for the SleepIQ Product Team." I'm Hawkeye Elvis, an unofficial personality for the University of Iowa. I have a passion for Iowa athletics. It was the school I fell in love with growing up in Ogden, Iowa, because of the Tigerhawk logo. What started as a Halloween costume my mom made for me 8 years ago has turned into something more than I could've ever imagined, and I'm grateful for how the university and Iowa fans have embraced it. I've had the opportunity to travel the country to cheer on Iowa's football and basketball teams. Over the years, I've been to more than 110 football games and eight seasons worth of basketball games. Also, I've been fortunate enough to make appearances at events to raise money for something I'm also extremely passionate about – the University of Iowa's Children's Hospital. This passion I have for the Hawkeyes and Iowa's Children's Hospital is the same passion I have for what I do every day at Sleep Number. I enjoy negotiating and finalizing each of our store leases as we continue to spread our brand across the country. I work with some amazing teams and people at Sleep Number, and I'm lucky to be a part of a company that embraces and values both collaborative and individual work styles. Whether it be dressing up as Hawkeye Elvis and raising money for the University of Iowa's Children's Hospital or giving people throughout the country the opportunity to get the best sleep possible, I feel empowered to be me and deliver results for my function, as we work to improve lives. At Sleep Number, I'm the Director, Corporate Counsel Real Estate … but you'll always see a little bit of Hawkeye Elvis in me. I'm a woodcarver. Because I work with wood, there is calmness in me as I touch, smell and feel the wood. That's what good design does—it evokes an emotional response. Design done right can soothe the soul, and bring peace and harmony. I seek to bring together art, design and technology to do good. I want to design things that solve problems towards a harmonious and considerate world. Design is rooted in connections. I want to be a voice for people who don't have one. So, I founded a design studio to do just that. I want to bring the cost of information to nearly zero so everyone, everywhere can have access to information and knowledge. Information is the silver bullet! If I can use technology to make you pause, will you treat the next person you encounter with kindness? I know I have the courage to go through excitement, fear, frustration and feeling overwhelmed to do that. At Sleep Number, I am an enterprise architect—a strategic problem solver. I begin every day with gratitude. This centers me. As I process the pain I feel for losing my husband, George, I'm able to find serenity in all the places where we enjoyed immense happiness. I'm grateful for the silence that enables me to hear the birds in the woods at our farm; for the clear blue sky over the vineyard; for the moment the burner fills our hot air balloon as we float higher in the sky; for our cozy bedroom at night with the stars shining with the wonderment of the future; and for every fishing trip, footstep through the woods and fantastic adventure we took together. We have always felt a deep spiritual connection with nature, and the discovery that comes from being curious. There's a whole life in the woods, and I love to be sitting in a tree in the middle of it as the dawn breaks and the forest comes to life. I believe it all translates back to human life. When we take time to explore things in our surroundings, including the people we interact with, we're able to celebrate differences and the various facets of our individuality. My defining characteristic is courage and it shows up in all aspects of my life. Personally, it's about pushing the edge of whatever I'm discovering – whether I'm canvasing dozens of stores finding design and fashion trends … or scouring the woods with appreciation for the constant evolution and beauty of every phase. At the core of my belief system I seek to build an authentic culture with a common purpose. Sleep can and will change the world by improving the quality of rest and evoking kindness. We have the ability to enable a kinder society through better sleep. The proudest thing I can do is cultivate an environment that assembles the right talent – people who have great hearts and combine their capabilities with their passion for making a difference. To me, this is incredibly rewarding, and it's one of the reasons why I wanted to become a CEO. Sleeping well is all about the night and dreaming big is all about the day. Post-traumatic stress disorder doesn't define me, but I struggle with it every day. Noises, changes, even walking out my front door, can create fear in me. Despite this, I push myself and choose to take on the opportunities presented to me. Stepping outside of my comfort zone has taken me whitewater kayaking, bungee jumping and paragliding off the side of a mountain. It has enriched my life by playing the violin in a community orchestra, learning the drums at age forty, and taking golf lessons. I have seen gorgeous places, like Korea, Belize, Honduras and Indonesia. I have eaten both strange and wonderful foods all over the world, most recently traveling to Kentucky, just to eat at a specific restaurant. I talk daily with Sleep Number customers who are often facing challenges and aren't sleeping well. I do my best to inspire them to also say 'yes' to something that can make their lives better. I know Sleep Number can change their lives — it has for me. At Sleep Number, I am an outbound sales professional in the Customer Sales Center – Direct. I'm a filmmaker, photographer and storyteller. I recently graduated from the Academy of Art founded in San Francisco. I'm working on my first novel that takes place here in the 1920s. I visited once and fell in love with the city and the people. Immersing myself in the culture helps in the writing process. My goal is to communicate. Communication is important in everything you do. I hold its value very high. In my writing I tell stories and make people feel something. My camera is my window. Through experimental film, making commercials and product photography -- I find beauty in every day. At Sleep Number, communication is essential. I'm working with customers who are looking for knowledge or answers about our products. So many of life's challenges can be reduced or resolved with proper communication. I'm always seeking to improve myself. The more you know, the better you become and are capable of tackling everything life throws your way. 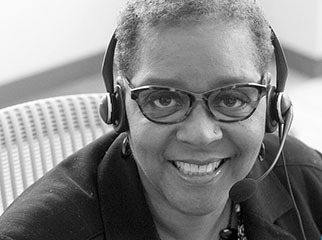 I'm a customer representative at the New Orleans Customer Relationship Center. I'm passionate about a lot of things …music, sports cars, travel and running. But I'm passionate about people more than anything else. I'm inspired by people who make change and make things happen, both outside of their work life or as a part of it. My other inspiration comes from my kids who are 7 and 11 years old. Thinking back to when I was a kid, in comparison, their world is a lot different than mine was and they see things in a different way. They have great perspective. To them, I'm just Mom. But I'm not just a single mom; I'm training for my third marathon this fall, traveling to foreign countries, going to rock shows and continuing to grow in my career. The type of flexibility Sleep Number offers that really serves someone like me really well, so I can continue to pursue all my passions. My role at Sleep Number is managing the demand planning team, which is a new function in the organization. Demand planning, as nerdy as it is, is totally in my wheelhouse. It's an interesting position because it's new, so I get to start from scratch and build something from the ground up and that's exciting. At Sleep Number, I'm the Sr. Manager of Demand Planning. I found my passion for volunteer work back in junior high school, when my religion helped shape my beliefs and how I show up in this world. I began leading service trips across the country and eventually made a trip internationally in college. These crusades pushed me out of my comfort zone and allowed me to see how others live their lives. I strive to discover how to support those who need an extra hand - leaving all judgements behind. Random acts of humanity inspire me to not only observe the good in this world, but to participate in it. I love helping people find jobs and careers with purpose and value. And my hope is they can someday pay it forward to others. I listen closely for potential in people and what a candidate can bring to the table in the future. When someone believes in you and gives you encouragement, you can go so much further. It fills me with joy to employ others and see them experience self-actualization and enlightenment. I'm a talent acquisition partner at Sleep Number. I was born and raised in South Carolina and I'm a diehard University of South Carolina Gamecocks fan. I love everything outdoors, especially yardwork, hunting, fishing and home improvement projects. I have a wife and two kids, and we live in a 30-year-old house, so a new home improvement project always gives me an excuse to buy a new tool. On Sundays, I help out with the audio/visual team at my church. My faith, my family and my career are my three main priorities in life. Because of my faith, I try to be the best I can be by raising my family …and because of my faith and family, I give my career 110 percent. My goal is to always embody the servant leadership model and treat people with utmost respect. My entire 14-year professional career has been with Sleep Number. I started out as an engineer working second shift and have held many other roles. I love the people and the constant opportunities to make today a better day than yesterday. I believe the most important people in this company are those actually in the plants sewing, driving forklifts, packing boxes, assembling beds and loading trailers. I love being part of the team that delivers a product that improves lives every single night. The team members in the plants are who matter, and my job is to give them everything they need to be successful. 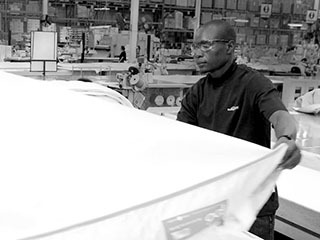 At Sleep Number, I'm the Manufacturing Operations Director of the Irmo Sleep Number Plant. I'm an observer of nature and get inspiration from looking at trees, birds, lakes, anything Mother Nature has to offer. I settle in and take a break from life and feel so much more refreshed after being outdoors. I also love to cook. Cooking to me is a science where there are endless options of tastes and recipes to explore and experiment with. The more I look, the more I find. I apply that to everything in my life. The information is out there for me to research and to educate myself. I know I can continually learn to do things better than I am doing them right now. I can be a better person for myself and for the people around me. I'm a customer advocacy manager at Sleep Number, which means I work with issues at the highest point of escalation. I enjoy observing, looking for answers and finding solutions. When a customer contacts us, they want a solution and it's my job to take ownership. I remind myself to treat others the way I would want to be treated. A rule I apply at work and in everyday life. I'm a family man – I have a 16-year-old daughter who is taking driver's education, I have a small garden that we grow a variety of things each year and since we relocated here from Texas, I grill a lot during the summer because my wife misses the barbecue. Music is also important to me. I've been playing guitar for 39 years and while I'm mostly a heavy metal guy, I play for the enjoyment, creativity and skill of playing guitar. I've even started teaching my daughter how to play bass guitar. I've been with Sleep Number for 17 years and I started off managing a store in Austin, Tex. Since then, I've worked in a variety of roles for the company. The relationships I've made throughout the years are long lasting, and some of my best times have been when I see customers pleased. In the back of my mind, I remember my experiences when I was selling beds. Because of that, I always have the heart of our customer-facing team members and our customers in the things I do. We have so many people who are experts here, but since I've been with the company for so long, I've become an expert in Sleep Number. At Sleep Number, I'm the Sr. Manager of Loyalty Operations. I'm a huge supporter of startups and an angel investor – helping local food and beverage companies get started. It began with a strong connection to Fulton Brewing Company. I was an original investor in the brewery, a mentor and continue to serve on their board. Then, my day job moved me to London and I wanted to learn more about beer while living abroad. That led me to pursue becoming a certified beer sommelier from The Beer Academy of London. After many classroom sessions and tasting more than a hundred different beers, I passed the final exam. One perk, classes were usually above a pub, plus I got to meet some really cool people. Throughout my career, I've had the opportunity to support different businesses in impactful ways. I'm trying to replicate my experience with Fulton with other startups to help these companies grow and be successful. Supporting startups, not only through fundraising but through mentoring, is a huge passion of mine and a way to give back to the community. The Sleep Number values and our mission align well with my experiences with startups and in human resources. At Sleep Number, I am the Sr. Total Rewards Director. One of the things that has been with me my entire life is a curiosity and an interest to learn. Yoga has been part of my life for many years, but last summer became even more important. I enrolled in 200+ hour yoga teacher training program to go deeper into the practice, learn more about myself and focus on my well-being. The training was an intense experience – it pushed me to my edge – but I'm stronger than I've ever been because of it. One of my goals is to challenge body stereotypes by rocking the mat and encouraging others to do the same. I believe that everybody can benefit from yoga. The idea of continuing to learn, grow, develop, explore and play is so important as you get older. I'm passionate about yoga, but I'm also extremely passionate about photography. For me, they both tap into my creativity and feed my soul in different ways. Like my hobbies, I feel I get to be passionate about different things at Sleep Number. I hope that as I continue to learn new things, I keep both yoga and photography with me for the rest of my life. They keep my heart open and allow my spirit to stay curious, playful and centered. They're my zen in the city. At Sleep Number, I am the Senior Program Manager for Recruitment Marketing. I’m a wildlife photographer and vintage camera collector. I have an artistic passion, and a passion for the outdoors. My cameras are a collection of happy moments. Because that’s what cameras do, take photos of happy moments. I have traveled the world, but now live in two places with my hubby and poodles. Home is the northern woods of Minnesota and by the lakes of Minneapolis. We are constantly on the go and inspired by the change in scenery. In elementary school, I aspired to be a fashion designer and archeologist (still want to be an archeologist). The creative spark, curiosity and weird combination of opposites have continued throughout my life with a passion for new ideas. The wonderful thing about my job is being able to apply fresh ideas to move the brand forward and continue to evolve for the well-being of our team and the customer. I am lucky to be a part of the culture at Sleep Number that values innovation. The fact that I get to design and be creative is a huge outlet, then I don’t have to keep remodeling my own home. At Sleep Number, I lead the Brand Experience. My family and I love nature – so to soak in all its beauty; we make at least two or three canoe camping trips up to the Boundary Waters each year. We also hike, take long bike rides and ski. Nature inspires me to write poetry. I just write whatever comes to my mind about my experiences in nature, one of the ways to set it in memory. Even though I’m not a published poet, I made a book with all my free-verse poetry called ‘Nature Speaks.’ We live in this beautiful state of Minnesota that has four distinct seasons and each one of them has their own joys to give. That’s what inspires me to write. While I’m passionate about nature, I’m also passionate about the conservation of nature. Conservation all starts with the person and because of that, our house is solar-powered via a Community Solar Garden. We no longer use straws and other plastic products …and when I grocery shop, I use reusable bags. For the last eight years, I’ve also called Sleep Number my home. The people I work with are my favorite part about working here because of how much we work as a team, doing whatever we can to help each other out. 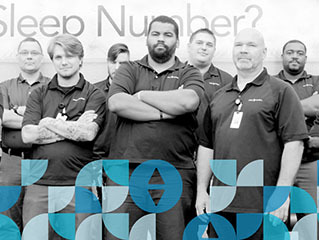 At Sleep Number, I’m an IT Sr. Business Analyst. The first thing people notice is that I'm not from here. I grew up on a rural farm in the middle of England. The area was the cradle of the Industrial Revolution so, on school trips, we always saw artifacts from that time period and I think that inspired me to be curious about how things work. As a designer, you're constantly thinking about how context is influencing what we design and how it will be perceived. The challenge for a designer is to make it say something you want it to say in a way that also makes it more intuitive to use. The idea of a bed being a product you a have a very intimate relationship with and it being something that could actually have an impact on someone's life is very profound. I've been at Sleep Number for two years and the thing I love about this company is we don't really talk about beds as artifacts, we talk about them as a vehicle for you to have a great day tomorrow. This isn't mattress design, you're designing sleep. Some of the most rewarding days are the days I get to collaborate and work with the people here – the days where we get to build on something and make it better to help people get a great night's sleep. At Sleep Number, I am the Industrial Design Director. My family and I golf a lot and we enjoy being outdoors regularly. I grew up playing golf, and even now, it's a date night opportunity, an outing for the whole family and a chance to get together with great friends we've made. My favorite part is the competition with yourself. It gives you the ability to receive instant gratification – if you have a good swing, you can feel it … if you shank it, you know right away. I have two boys, ages 9 and 11, and golf has also been a way for them to meet new friends. Some people go to the cabin on weekends, but we go to the golf course for the weekend. I've been with Sleep Number for 11 years, and I think I've had eight different roles. I currently oversee reverse logistics, which was a department that didn't exist prior to two years ago. We work with a variety of team members and sites to ensure we get our returned items back in a timely fashion. What I like most about working at Sleep Number is definitely the people. I've made friends and maintained those friendships I made in my different roles. Having a solid community within Sleep Number is something that keeps me coming into the office in the morning. At Sleep Number, I'm the Sr. Reverse Logistics Manager. Family and my heritage are very important to me. I'm 100% Mexican – both of my parents were born in Mexico. English is my second language and Spanish is my first. Two weeks after I started at Sleep Number, my youngest son, Santi, who was three and a half, was diagnosed with leukemia. I love to travel, and we just got back from his wish trip at the Atlantis Resort in the Bahamas. He's doing great; he wanted to see the biggest waterpark ever – the Atlantis Resort is a 141-acre waterpark– it was amazing. Joining Sleep Number has been one of the absolute best things I've ever done. I've always felt the brand takes care of representing itself well. With Santi's diagnosis, I didn't start my tenure here the way I wanted, but leadership encouraged me to be with my son and family, taking care of them when they needed me. I have always been so thankful and grateful to the team for embracing that and being so supportive when I needed to be there for them. My oldest son, Tavi agrees it's the perfect place for me to work because I get to "sleep and read" – two of my favorite things! Sleep Number continues to evolve to be relevant to our customers. I truly believe sharing is caring - it's important that everyone be aware of the end goal we're all working towards. At Sleep Number, I'm the E-commerce Marketing Manager. I've always had basset hounds in my life. My parents got a basset hound the year before I was born so my first memories are of the dog. Animal welfare is very important to me, so one of the ways I could give back was to volunteer and eventually help found the Minnesota Basset Rescue. I've had 15 foster dogs and I currently have two former foster dogs, Duncan and Gertie. Bassets are a very particular breed – they're very stubborn, not easy to train and there are a lot of things you have to be prepared for. They shed a lot, they drool, they stink and sometimes they wander off. You have to have a love of the breed to live with them. They're also incredibly sweet tempered, wonderful family dogs and they are very funny. It's so fulfilling to take these dogs, see them bloom and become dogs again. In April, I will have been at Sleep Number for nine years. I came in working on the business side in sales operations and became a business analyst in the IT department. There isn't a normal day-to-day, especially because my focus is on paying our commissions correctly. I love that we have such an amazing product that changes people lives and that the company gives back to both the community and team members alike. Being able to get up in the morning and feel rested makes the rest of the stuff you go through that much easier. If you're going through things on a poor night sleep, it is ten times harder. At Sleep Number, I'm a Business Analyst. I'm originally from India, but I came to the U.S. to do my master’s in computer technology. Each year, I look forward to spring because I start working in my garden. My initial interest in farming came from going to my grandparent’s house every summer. We would be assigned a plot of land to take care of and that's how we started cultivating my curiosity for farming. Now, I work with a church community garden and we partner with local food shelves. Last year, we grew around 23,000 pounds of fresh vegetables to donate. My oldest child is nine and she helps me in the garden – prepping the soil, planting, weeding and watering. She's a big help. One of my favorite things to grow is tomatoes because they are an integral part of Indian cooking, and cooking is another passion of mine. I was raised with a firm belief in integrity and trust, which are important values at Sleep Number. I came to Sleep Number in 2011 and the thing I love most about working here is the technology. You won't see another company that can change your exceptional products design and keep evolving every year. I check my SleepIQ data every morning and I don't just see a Sleep IQ score, I see my heart rate and my breath rate. At Sleep Number, I am the Sr. Fusion Developer. I'm currently training for a 26.2-mile inline skate marathon. It's the fifth time I've done this race, and even though I'm not training as well this year, I think I can finish in the top-10. The race runs the route of the Grandma's Marathon in Duluth, Minn., and it's the fourth largest inline skate race in the world. One day, I was just curious if there were any rollerblade races and came across this one. That's my hobby right now – it's a lot of fun. I've been at Sleep Number since November and I'm in charge of supply chain data and analytics. One of the best things about working in analytics is making it easy for people to get at the information they need to make decisions. Making data easy is kinda what I'm good at. My goal is to try to bring a level of visibility to our data, so people spend their time analyzing trends and taking actions, instead of spending all their time running reports. Analytics is really about storytelling – it's using data as the plot of a story and then team members can come up with their own ideas on where to take the story next. It's also thinking about things differently and challenging the status quo a little bit. I feel like I'm actually making a difference here and that I'm not just another cog in the wheel. What I'm doing, people are using to help make real change and better decisions. At Sleep Number, I'm the Supply Chain Analytics Manager. I have 15-year-old twins, a boy and a girl. They keep me very busy. I also have some very interesting and intense hobbies. I breed irises and daylilies. In the summer, in July especially, every day is like Christmas because I see new flowers bloom that I know no one in the world has seen but me. I also do fiber arts. I spin wool, then weave, knit or crochet with it. I raise sheep and Angora rabbits – my kids show the rabbits at the State Fair. I recently purchased a mansion in Taylors Falls. My dream is to have a bed and breakfast where I can bring people in for an immersion weekend so that they can learn everything about fiber arts, all the way from the animal to the finished good. It doesn't matter where you go, it always comes back to the people and the relationships that I've made. At Sleep Number, there are great people working here and the team I work on is fabulous. I couldn't ask for better. I think I bring the passion for project management and towards helping teams be the best they can be, in both process and how they work together. There's something special about finding the motivation that each individual has; to be able to help them find that motivation to make change they need to make in order for the whole team to work better together. At Sleep Number, I'm a Sr. Manager of Program Management. I'm a United States Marine Corps Combat Veteran. I joined the Marines because I wanted to do something after September 11, and I was a young single guy who could make sacrifices. At the time, I didn't realize all that I would experience and see, but I'm glad I made the choice. It's incredible to be a part of something bigger than yourself. I invaded Iraq in March 2003 and traveled the world through my deployments to places like Japan, Ukraine and Israel. While my fellow Marines came from all different walks of life and backgrounds, we were a team and stuck together. I am inspired by teamwork. I love to refer to former NBA Coach Phil Jackson's quote when we are problem-solving at work: 'The strength of the team is each individual member. The strength of each member is the team.' I appreciate the diverse individual perspectives and experiences we each bring as we work together to improve lives at Sleep Number … all while having the freedom to experiment and try ideas out. I've been empowered to improve, accept new responsibilities, and inspire others to do the same. I'm a Production Manager at the Salt Lake City Sleep Number Plant. Family means the world to me. I am an identical twin and I have a little brother. I am the older of my twin by 10 minutes, but we are extremely close. She's my best friend and has two beautiful children. We see each other every weekend and I love spending time with my niece and nephew. My sister and I are very passionate about working with youth to find a way to relate to them and help create opportunities for them to get the recognition they deserve. We developed a youth group at church for any kids and teens in our community to discuss what they experience at home, school and what's difficult or challenging for them in society. We're trying to make an impact on as many lives as possible. One of our goals is to help create other opportunities and challenge them to try and open that door themselves, and not wait for others to do it for them. My Mom always taught me to be myself and to not be afraid to speak up, so another inspiration for me is being a strong woman and a leader. People tell me all the time that my laugh is contagious, and I want it to infect as many people as possible. I try to make an impact on someone's life daily, even if it's just a smile or telling someone good morning because you never know what other people are going through. 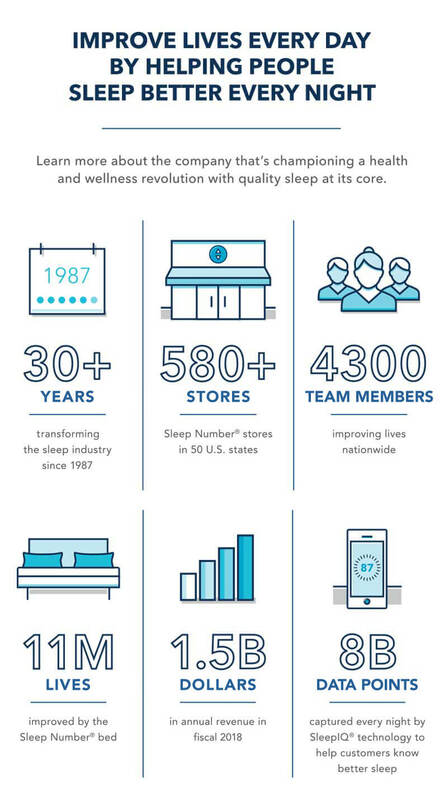 Sleep Number provides a product that literally changes lives and I can tell the company takes the same amount of time and effort in valuing their team members. I've never felt more valued or more appreciated at any job than I do here. At Sleep Number, I'm the Customer Relationship Center Team Supervisor at the New Orleans CRC. I have a lot of stuff that I do outside of work … I'm a woodworker and a ham radio operator. I had to take a test with the FCC to get a radio license and what's cool is I can talk to people around the world with this certification, like the time I bounced my signal off of a satellite and talked to someone in Greenland. Of all my hobbies, I'm most passionate about racing. My family and I race down forest roads with built-out rally cars as fast as possible. It's the coolest sport because not only are you fighting against the clock, but you're also fighting against the elements – we'll race on ice, snow, gravel, mud, asphalt …and that can all be in one race. These cars can take roads at 100 mph when racing that I wouldn't take in my truck at 30 mph. My team is one of the smallest teams in the relationship center. We're nine strong and work with the NFL players with their new orders to ensure everything gets set up correctly. We follow along closely, from the day the order is placed all the way until 35 days after delivery. I've been here for two years now. Everyday is different, which is awesome. At Sleep Number, I'm a Customer Relationship Consultant. Being a cancer survivor has helped me set out to embrace this life I have because you don't know how long your life will be, so live it now and get the most out of it. I'm an advocate for organ donation. My first husband passed away suddenly and since it was so sudden, he was able to be an organ donor and save lives. Organ donation gives someone a second chance at life. I've been a resource for other families who have had to make that tough decision by volunteering for various local and national organizations. That's been a huge passion, which also aligns with why I think my work here is important because it's about improving lives – quality sleep is so necessary for us to be able to get the most out of this life we have. My tastes are kind of eclectic – I love classical music, silent films, traveling and photography. I traveled to Brazil and Portugal this year. It's so important in our everyday lives to look at things as a traveler. That perspective of seeing the world and seeing new things is so worthwhile for anybody to experience just because it cracks you open wider. I've been at Sleep Number since 2009, and throughout my career, I've written about things I'm passionate about. That's why writing about sleep has been very rewarding for me. I think making a connection with people is one of my skills as a writer because it helps me paint a picture with words for people who might be experiencing the same things. At Sleep Number, I'm a Sr. Brand Copywriter. I'm a gardener and enjoy being with nature. I love the process of planting something, watching nature take over… and with a bit of encouragement from me, eventually growing into something fruitful. It's also why I enjoy experiencing the personal growth of our people at Sleep Number. I find it so rewarding to help team members plant seeds, be there for them when they need it and watch them grow and improve in their lives and careers. In February of 2011, I almost died. I had a series of strokes while driving in the car, with my kids in the backseat, and that changed me. It a was defining moment in my life and now I don't take anything for granted. I don't have many lingering effects from the accident, but I feel like there's Amy before the stroke and Amy after the stroke. As part of my recovery, I started wondering where my food comes from and who grows it, and I decided to become my own farmer. My family grows your standard Minnesota garden items – tomatoes, zucchini, peas, carrots, cabbage, strawberries blueberries and raspberries. We also have a flock of chickens. I'm most passionate about my family. Everything I do ties into them. My husband and I have three kids, a 15-year old daughter, and two sons who are nine and eight. We think of ourselves as a little team and we try to make everything better – every place we go, we just try to make it a little better. The kids also help out with the farm and they love it. I've been at Sleep Number for 16 years and I've sort of grown up here. Every day is an adventure and every day is a new opportunity to improve something. I also like the people and the culture here at Sleep Number. There's a lot of teamwork and even while we're all working hard, we genuinely care about each other. At Sleep Number, I'm the Wholesale Accounts Operations Manager. We don't just sell beds. We give people a better night's sleep, which gives them better lives.